When it comes to the weather, sometimes Mother Nature can go crazy. 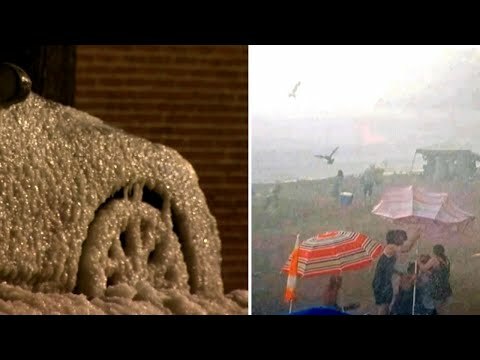 In September 2017, a sudden, unexpected storm hit a beach in Santa Barbara, California. In May of 2017, a family in Colorado was trapped in their car as huge chunks of hail pummeled the vehicle. In May of 2018, a sandstorm known as a “haboob” swept across Egypt. And in January of 2018, a snow tornado, also known as a gustnado, swept through an Austrian village.